Prepare to meet the pace and scale of today’s digital business at Gartner Security & Risk Management Summit 2018. At the Gartner Security & Risk Management Summit you will learn how to transform your cybersecurity, risk management and compliance strategies to build resilience across your enterprise. Hear keynotes from thought leaders like Herjavec Group’s own Founder & CEO Robert Herjavec and engage in dynamic sessions on key topics such as agile architectures, BCM, cloud security, privacy and securing Internet of Things (IoT). Join the delegation from Herjavec Group on-site at the Gartner Security & Risk Management Summit as we participate in this industry-leading event. Technology is constantly transforming, creating new possibilities and risks in the business world. 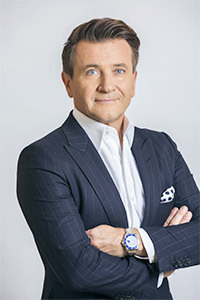 Founder & CEO of Herjavec Group, Robert Herjavec, will explore the evolving cyber landscape and explain how to best position your business risks at the Board of Directors level. There is no light at the end of the tunnel when it comes to cyber warfare – so how are we adapting, transforming, scaling business strategies to face this battle head on? Plus – hear HG’s VP of Incident Response Matt Anthony on Tuesday, June 5, 2018. HG’s VP of Incident Response, Matt Anthony, will share his views on incident response planning from the perspective of an executive. Leveraging real-world cases across complex infrastructures, Matt will give his recommendations on how organizations can better prepare for the inevitability of a breach, and what needs to happen on day 1 of incident response to get your business back to standard operation. To meet a Herjavec Group security specialist on site, complete the submission form below. To learn more about the Gartner Security & Risk Management Summit and register for the event, click here. Register with priority code SECSP160 to save $325 on the standard registration rate.